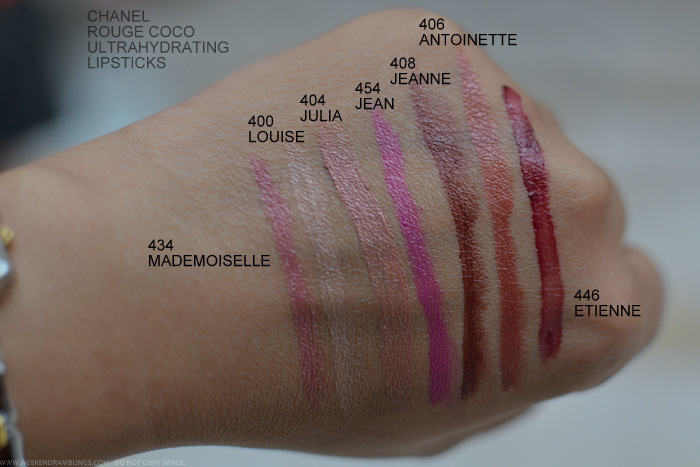 Among the Chanel lipsticks, the Rouge Coco Shines have been my favorite. 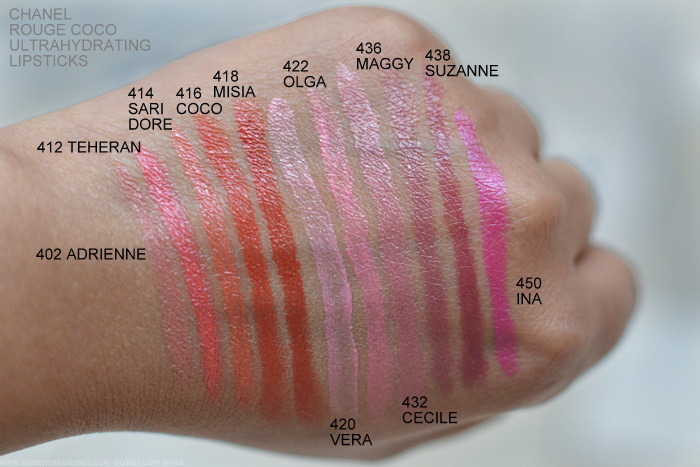 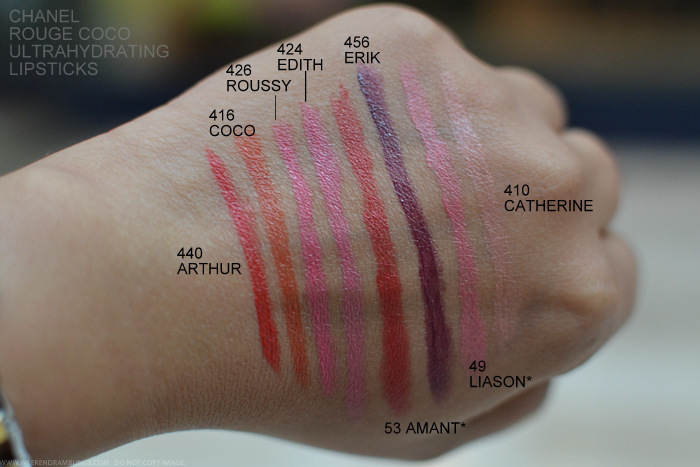 The older Rouge Coco lipsticks have been a bit of a hit or miss, with some of them going on a bit unevenly on my lips. 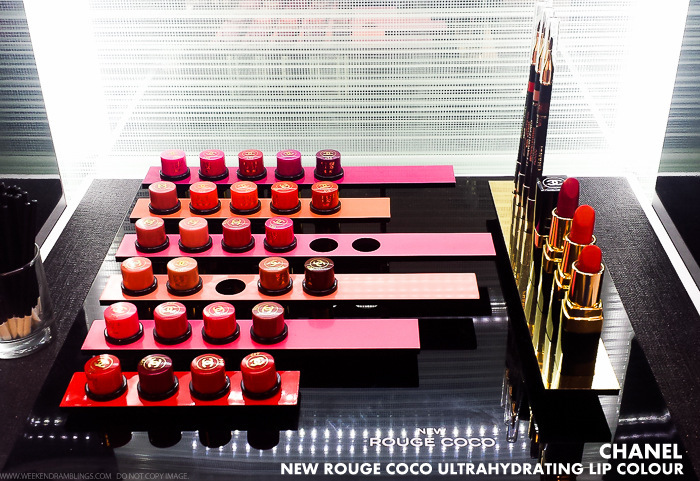 The new Rouge Coco Ultrahydrating lipsticks definitely seem creamier and more moisturizing. 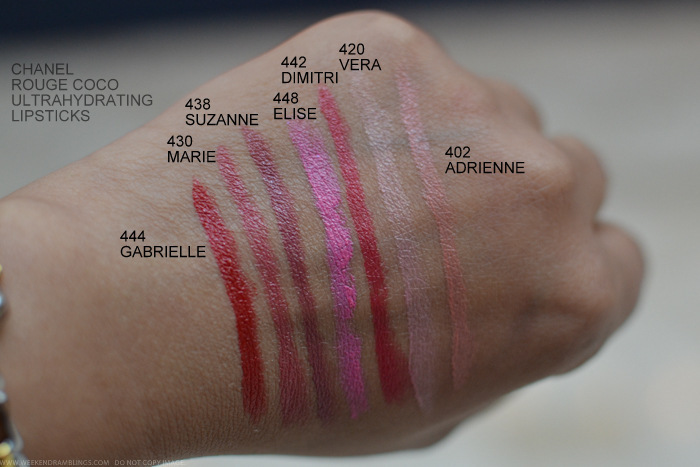 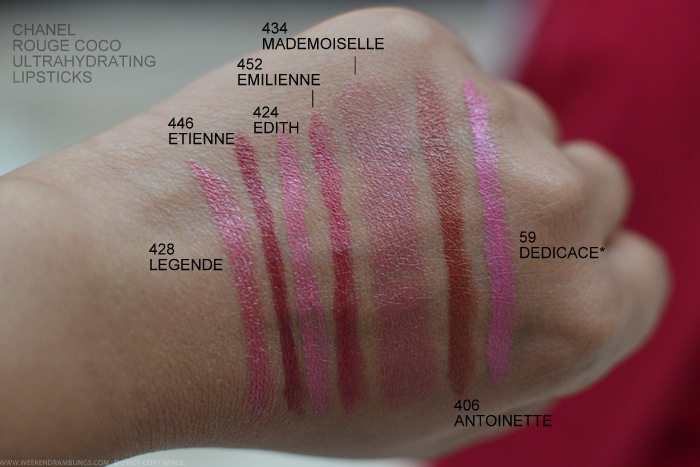 The shade range is also quite good, with some easy-to-wear colors mixed in with some deeper shades and reds, and it should be quite easy to find a Rouge Coco (or three) to suit any skin tone (my picks would be 434 Mademoiselle and 440 Arthur).